28mm Amy, Female Zombie (1 Figure)..
28mm Billy, Male Zombie Advancing (1 Figure)..
28mm Body Bags (6 Models)..
28mm Body Bags II (6 Models)..
28mm Boris, zombie in overcoat (1 Figure)..
28mm Female Zombie in rags (1 Figure)..
28mm Female Zombie's (3 Figures) Combo pack includes each Zombies from ZE-22 through ZE-..
28mm Kenny, Male Zombie (1 Figure)..
28mm Male Zombie advancing (1 Figure)..
28mm Male Zombie attacking (1 Figure)..
28mm Male Zombie's (4 Figures) Combo pack includes each Zombie from ZE17 through ZE20. 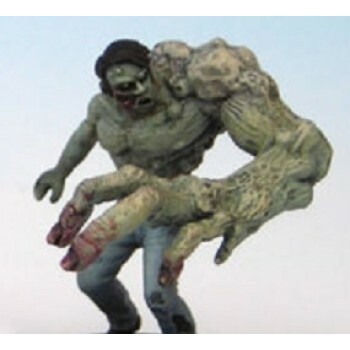 Please ..
28mm Mixed Zombie's (4 Figures) Combo pack includes each Zombies from ZE-26 through ZE-29. Ple..
28mm Mixed Zombies II (3 Figures) Combo pack includes each Zombies from ZE-31 through ZE..
28mm Mutated female zombie (1 Figure)..
28mm Mutated male zombie I (1 Figure)..
28mm Mutated male zombie II (1 Figure)..
28mm Mutated zombie's (3 Figures) Combo pack includes each Zombies from ZE-06 through ZE..
28mm Naked female zombie (1 Figure)..
28mm Naked female zombie, advancing (1 Figure)..
28mm Naked female zombie, stumbling forward (1 Figure)..
28mm Naked male zombie (1 Figure)..
28mm Naked Zombie (1 Figure)..
28mm Naked zombie's (4 Figures) Combo pack includes each Zombie from ZE10 through ZE13. Please..
28mm Nikki, Zombie in long dress (1 Figure)..
28mm Roy, Male Zombie (1 Figure)..
28mm Sally, Female Zombie (1 Figure)..
28mm Tony, Male Zombie (1 Figure)..
28mm Viktor, zombie in suit & tie (1 Figure)..
28mm Zoe, Female Zombie (1 Figure)..
28mm Zombie chick (1 Figure)..
28mm Zombie chick advancing (1 Figure)..
28mm Zombie chick attacking (1 Figure)..
28mm Zombie chick in mini skirt (1 Figure)..
28mm Zombie Chicks (4 Figures) Combo pack includes each Zombies from ZE-01 through ZE-04..
28mm Zombie rising from grave (1 Figure) Includes one randomly picked gravestone..